Whereas many cleansing shampoos can leave your hair feeling more squeaky than just clean, Aveda Brilliant Shampoo adds in moisture and shine as well, so you can use it every day. This shampoo contains organically grown aloe, camomile, calendula and black tea to soothe your scalp and a mood shifting Pure Fume aroma of certified organic ylang ylang, olibanum, lemon and black pepper. 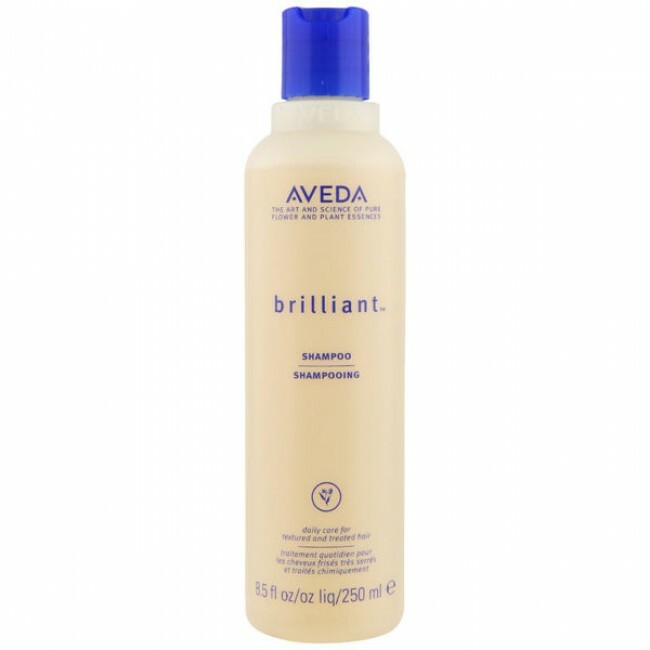 Apply Aveda Brilliant Shampoo to your wet hair.